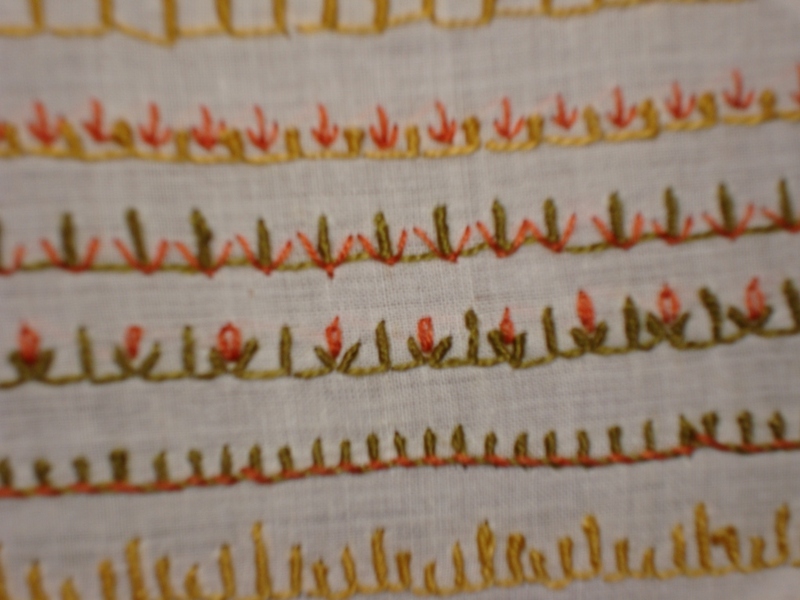 the fabric is handloom cotton,striped.Made marks to make the stitch even. 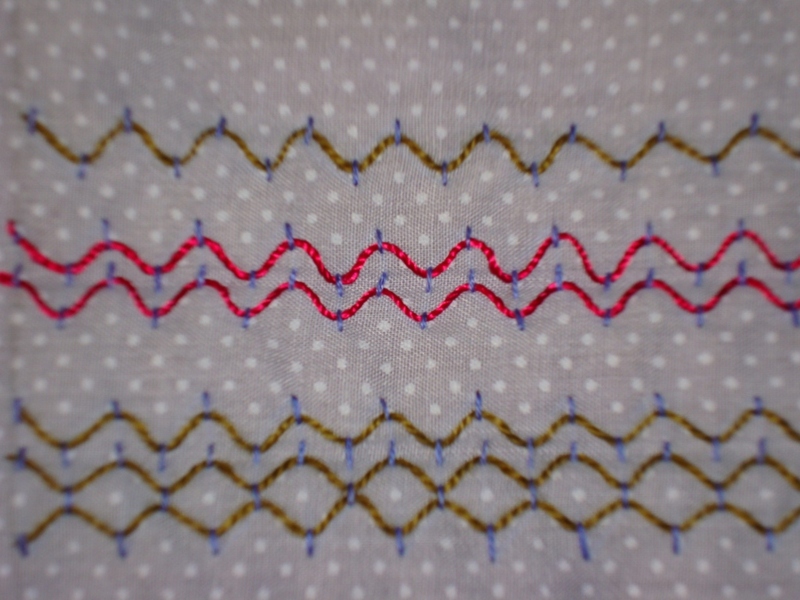 the 2nd line, the herringbone st is of varying height. 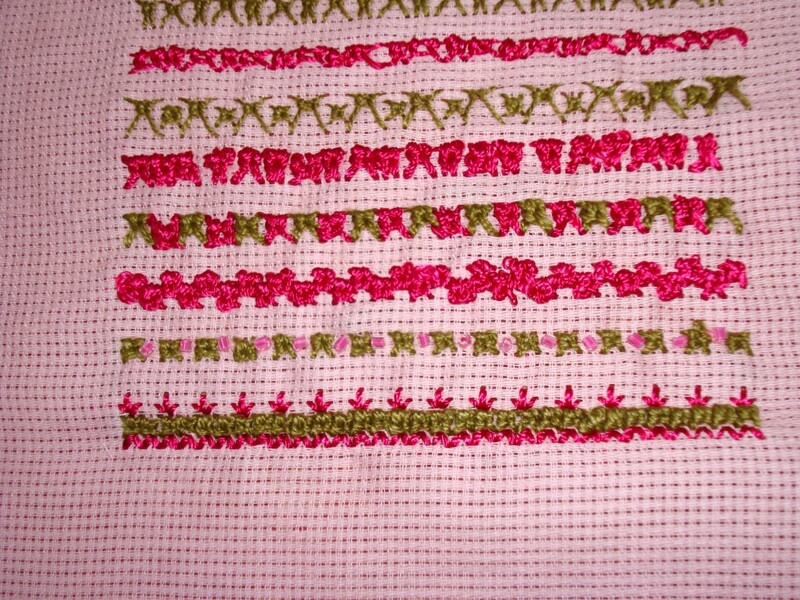 3rd line-changed the width of the herringbone st.
4th line -alternated 2 colours. 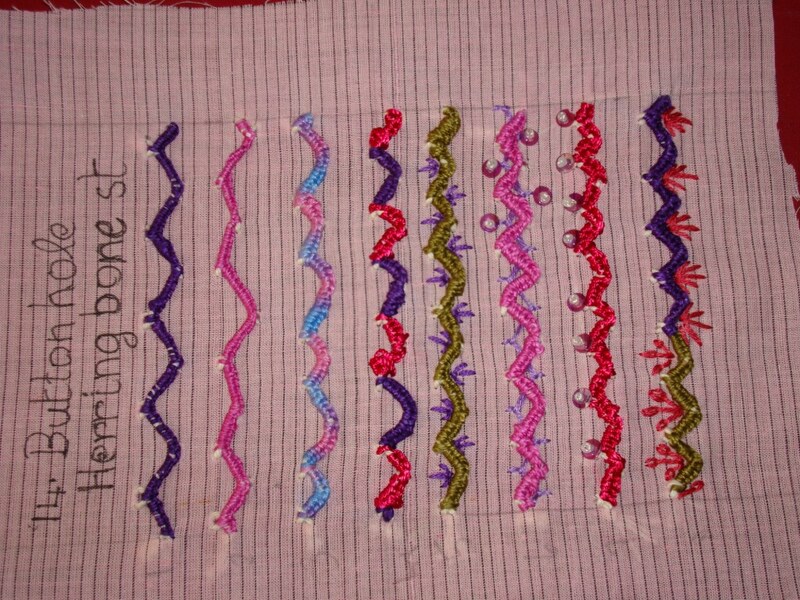 5th line-Added fly sts on the valleys . 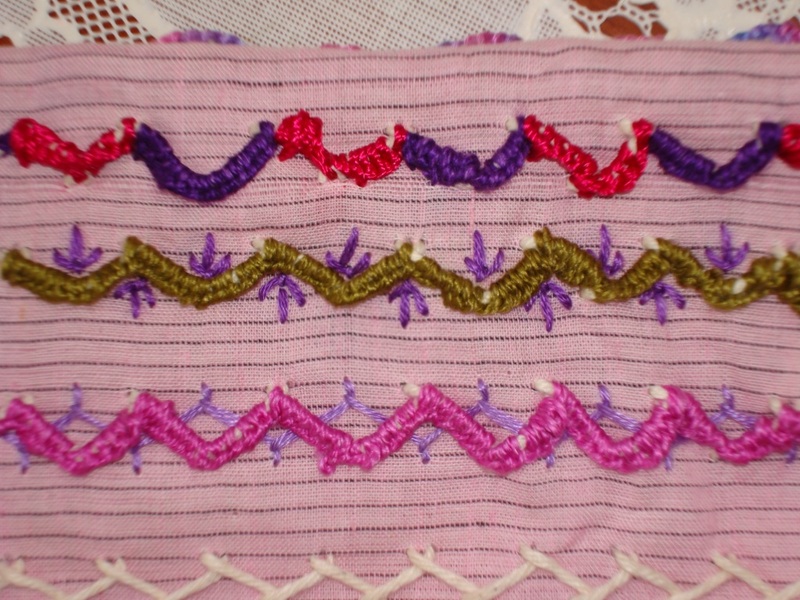 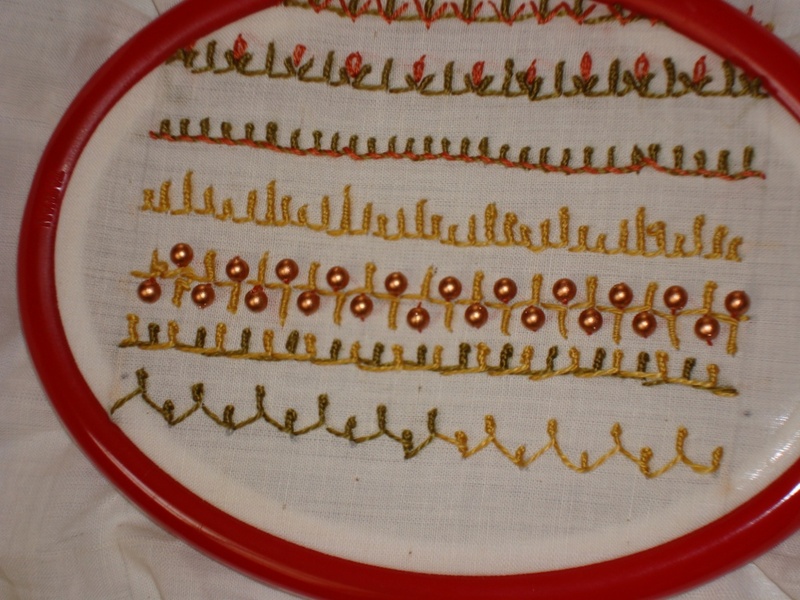 6th line-the whole stitch is over a line of cretan stitch. 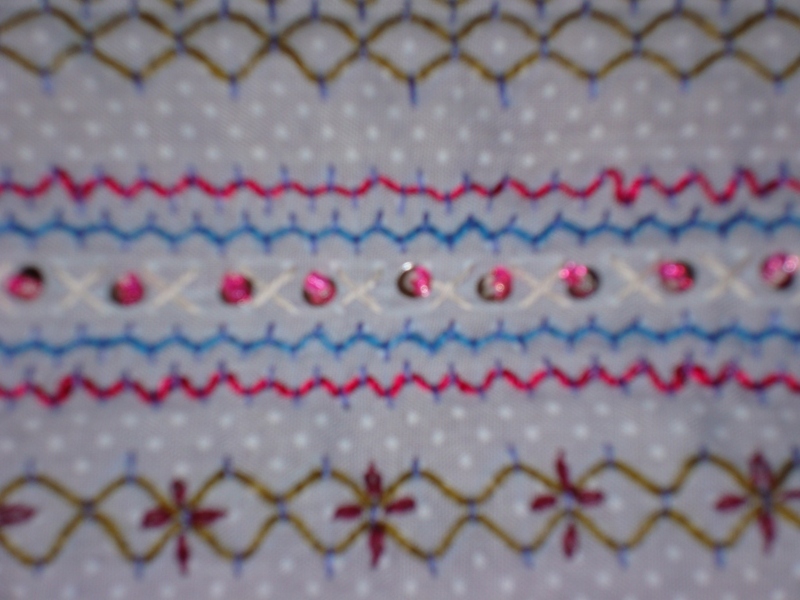 7th line- Added sequins and beads on the peaks . 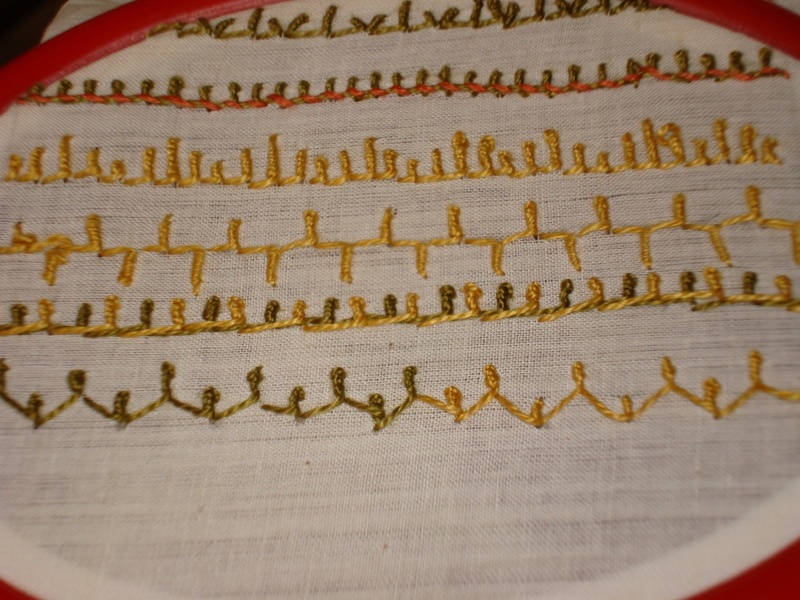 last line-detached chain, and straight sts are done on the valleys. 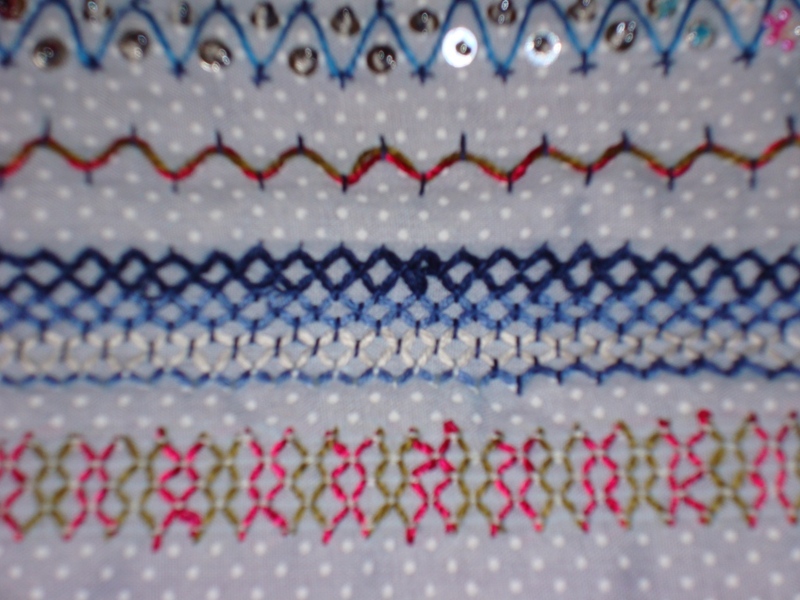 I throughly enjoyed doing this stitch sampler. 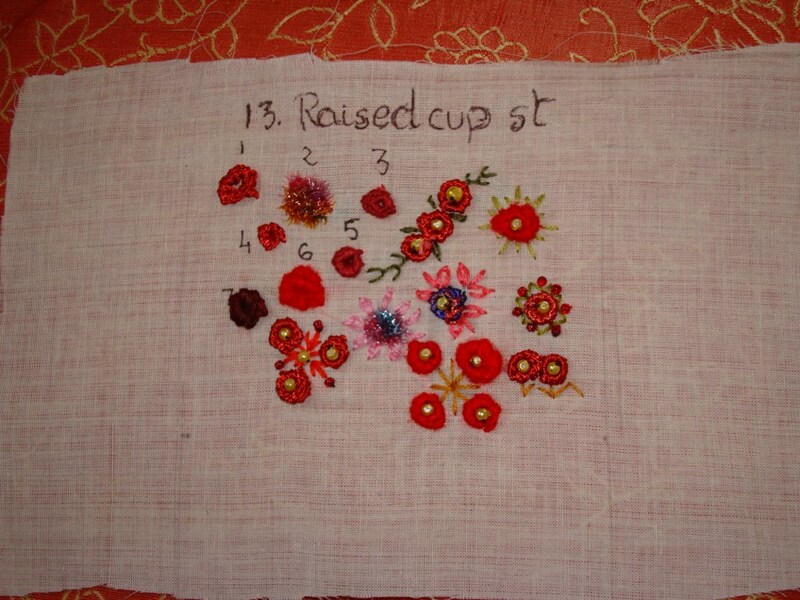 The 13th week stitch of the TAST2010 Challenge by Sharon is Raised cup st. 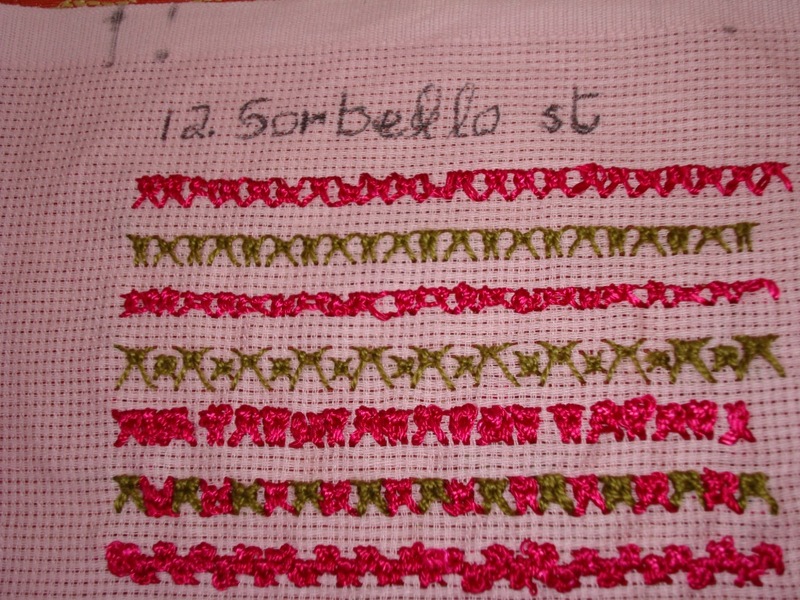 I have never tried stitches of this type,earlier for stitch explorer challenge, I tried trellis st and casalguidi st, but I can’t say I have totally explored or mastered these 2 stitches. 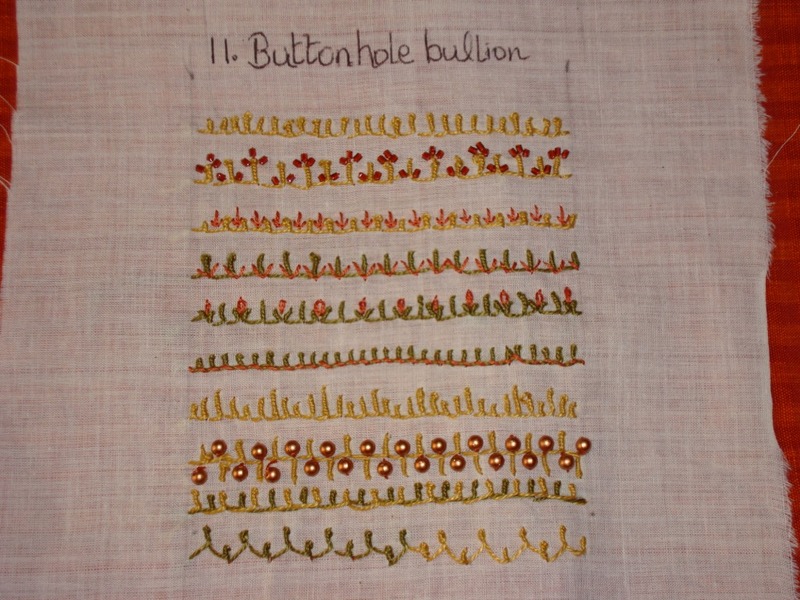 1.large triangle- similar to pearl cotton. 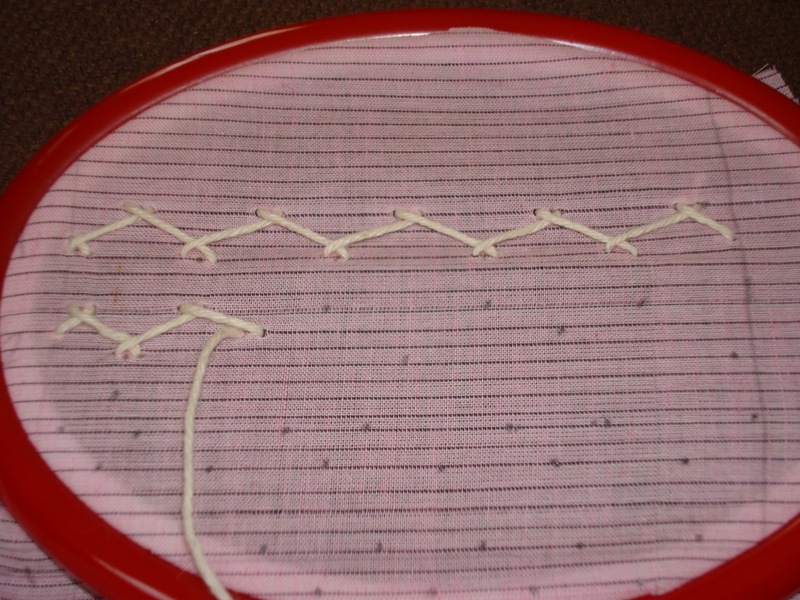 7.varigated cotton skein 6 strands. 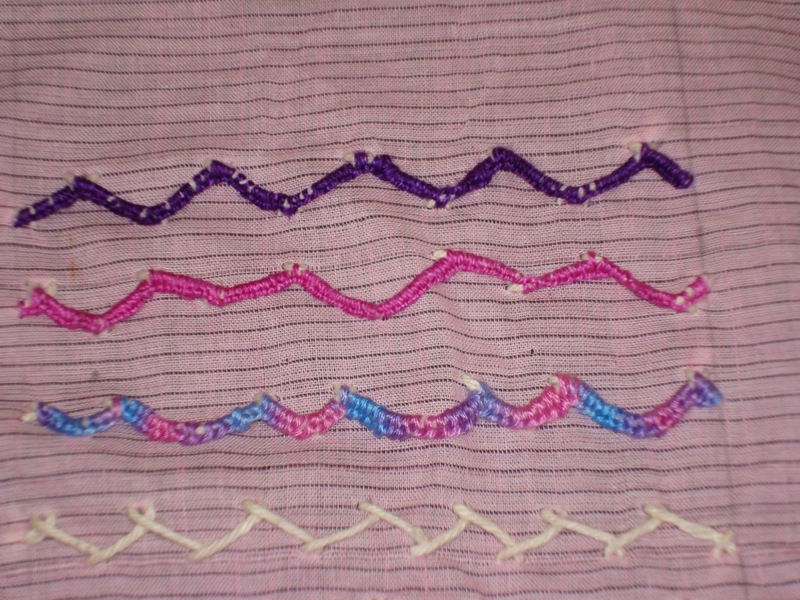 In these variations, I just added some detached chain sts,fly st, and some straight sts. 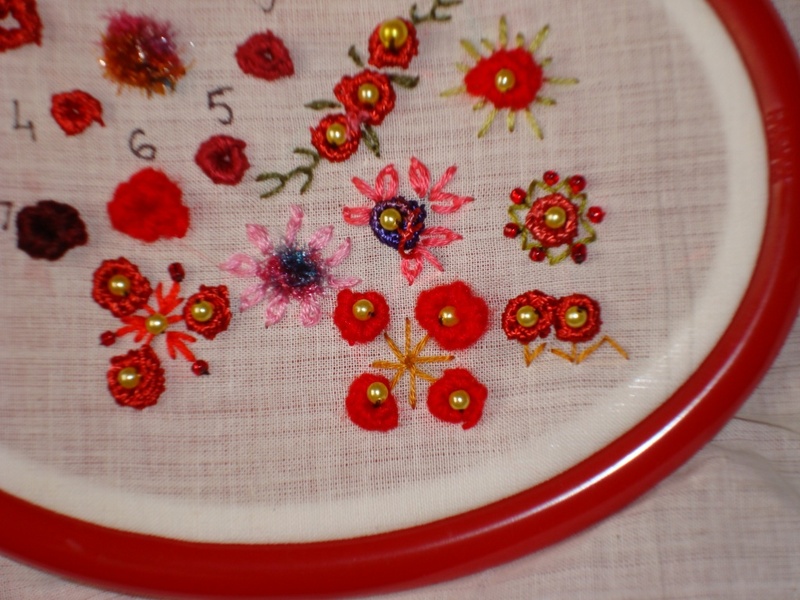 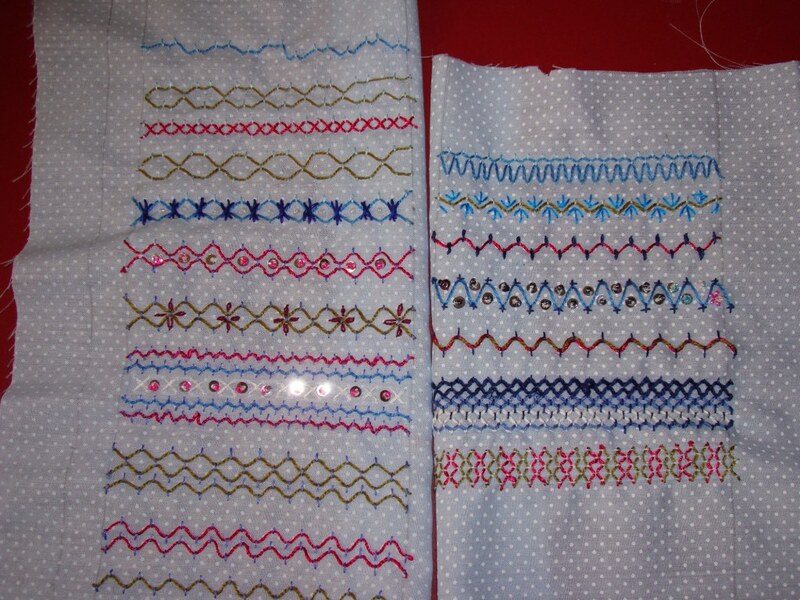 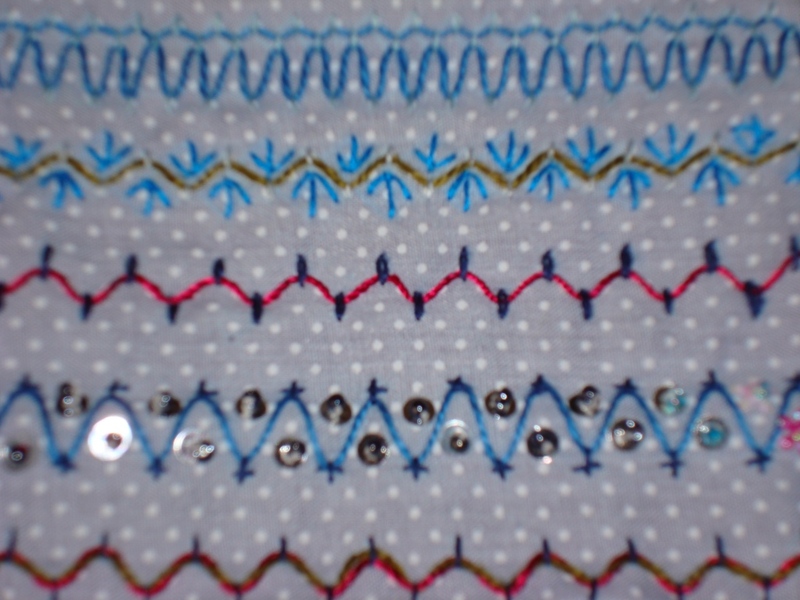 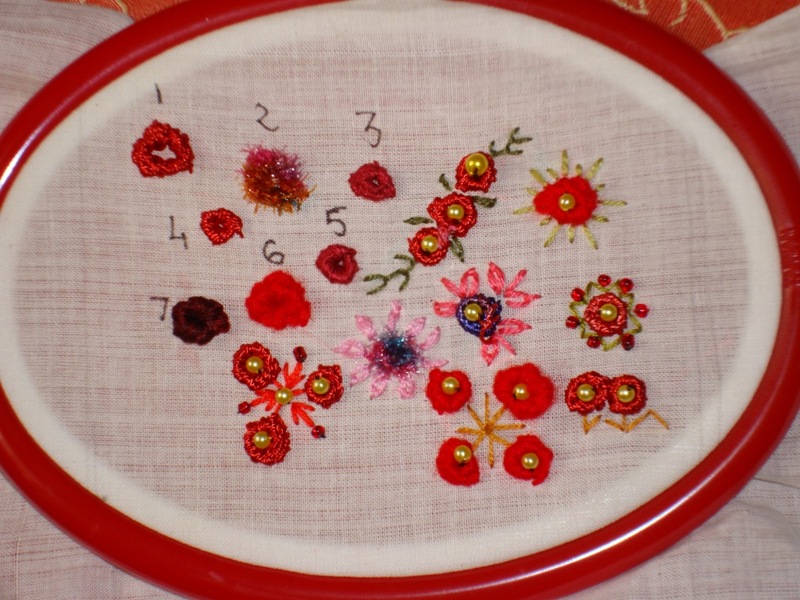 The stitches used are – chain stitch, coral st, back st, Straight st. 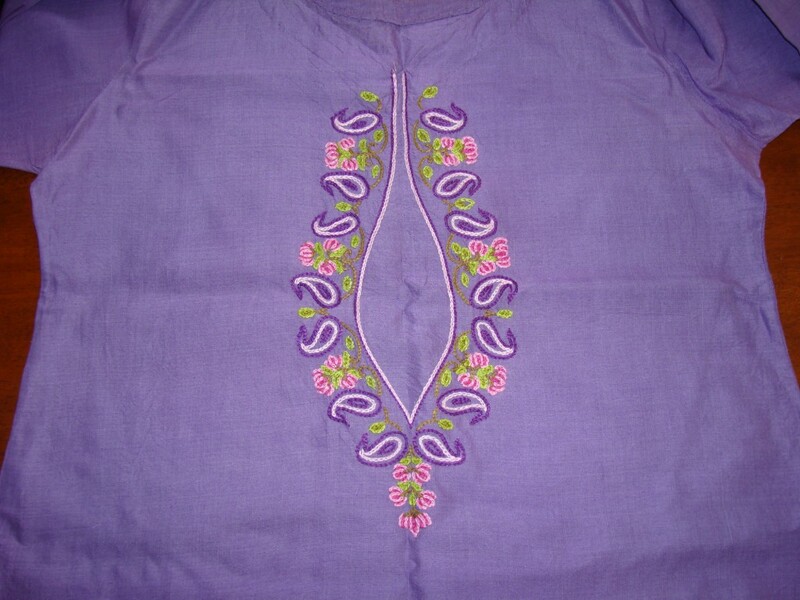 This tunic was designed and embroidered some time ago.the fabric is cotton. 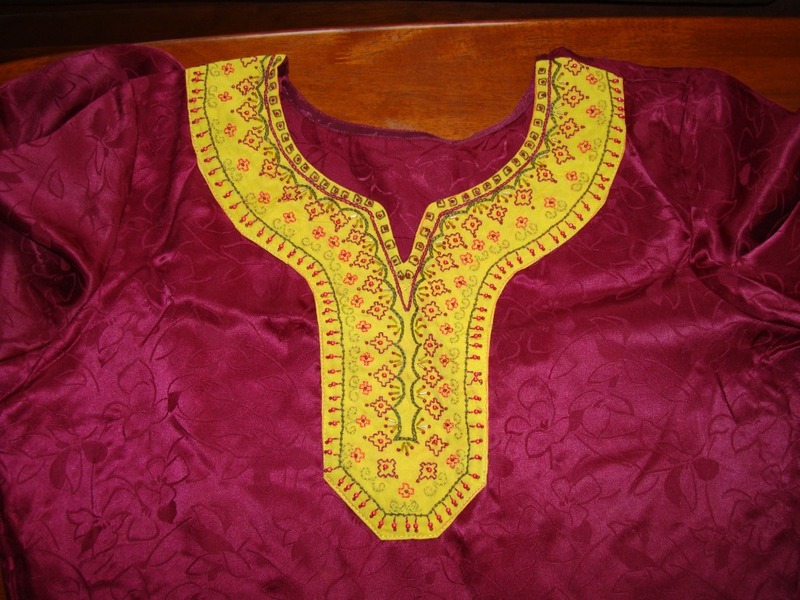 For along time, I couldn’t get any idea for this tunic.it was always staring at me, It was too plain to leave it as it is. 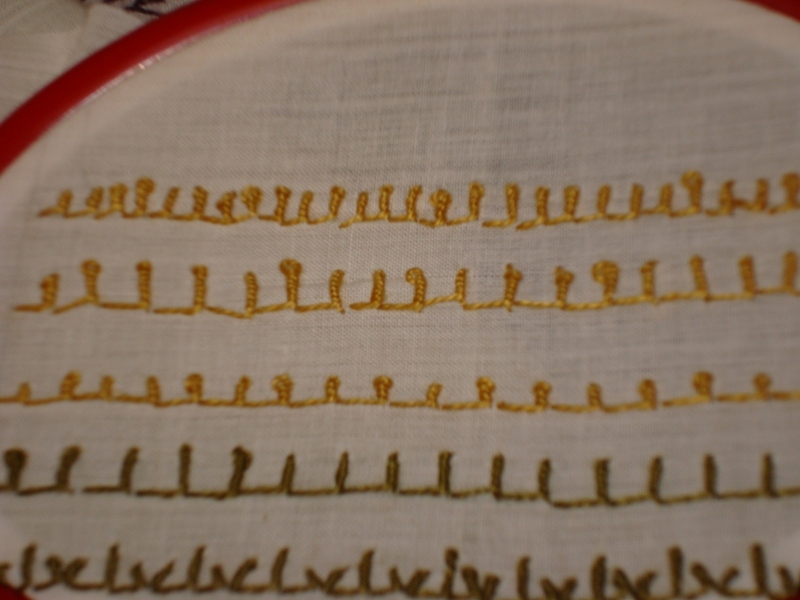 Since no idea was forthcoming, I decided to do a simple chain st filling. 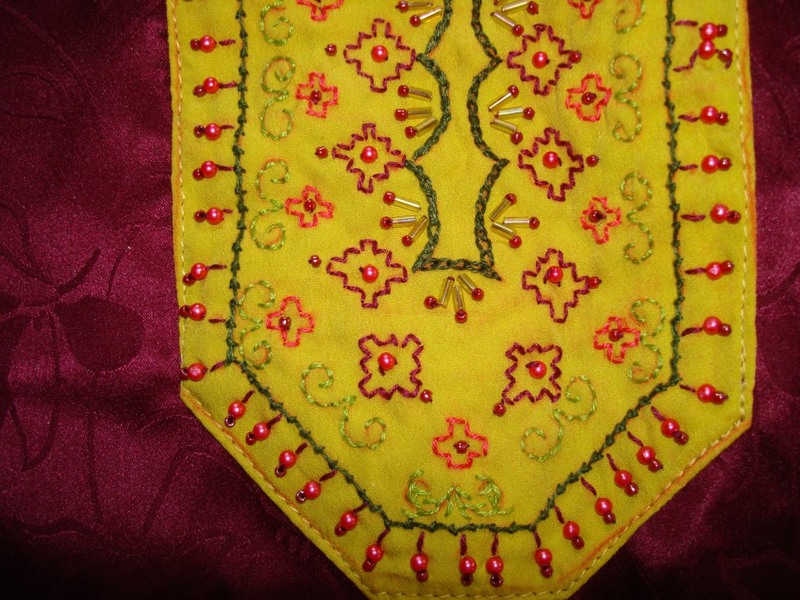 This type of design is common for kashmiri embroidery,is done with an aari needle. 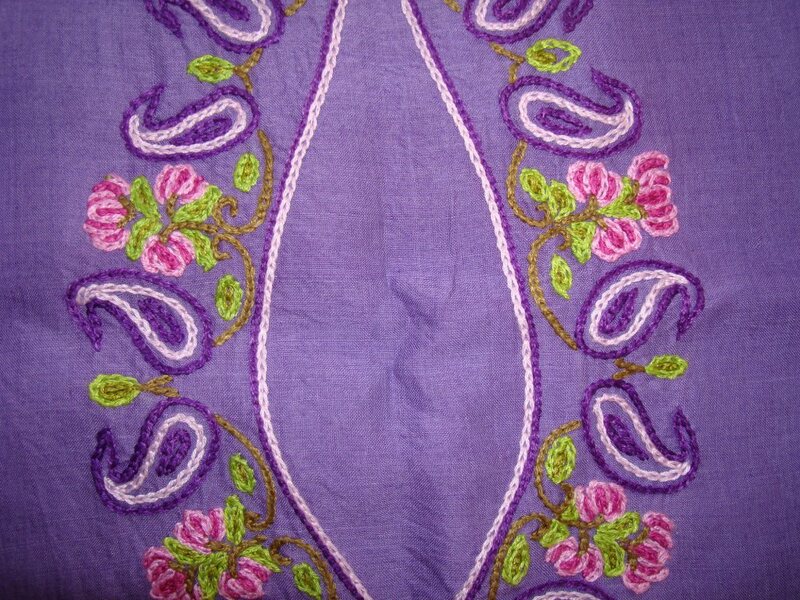 Generally the design is big and covers the area from neck to waist. 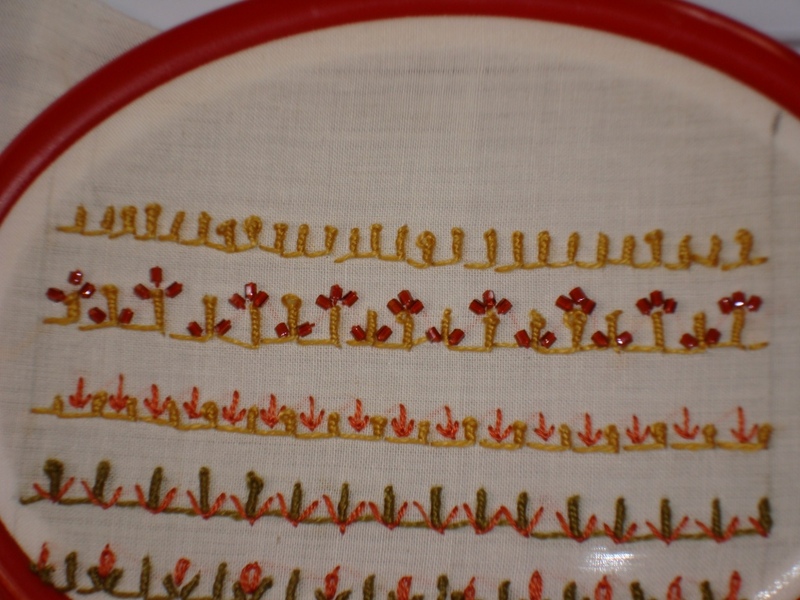 I did avery simple one, because I wanted to complete it fast.I used crewel needle.